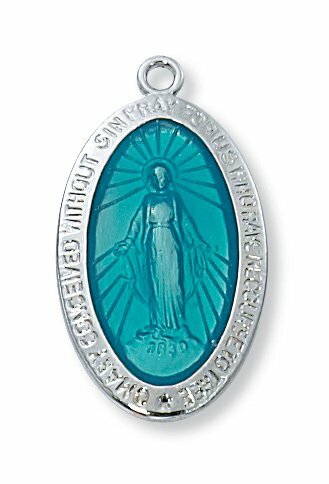 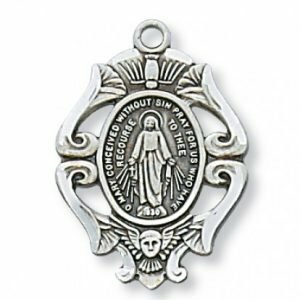 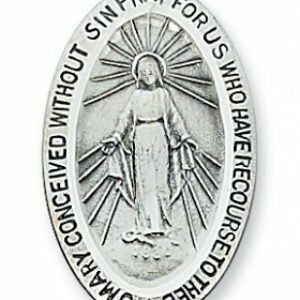 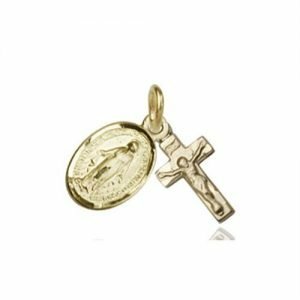 This sterling silver Miraculous Medal has a beautiful blue enamel center. 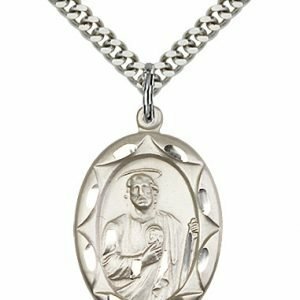 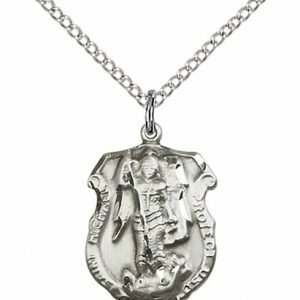 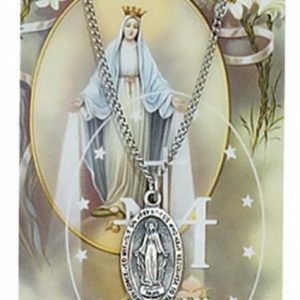 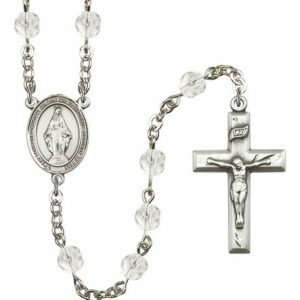 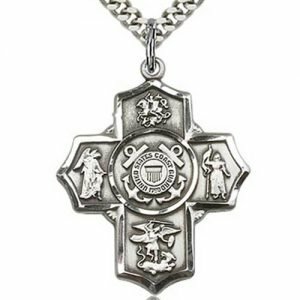 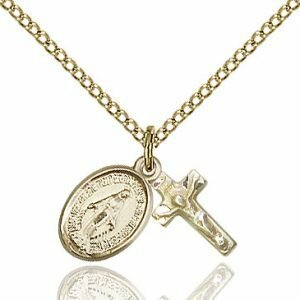 The medal measures 1 1/16″ long and comes with an 18″ rhodium coated chain. 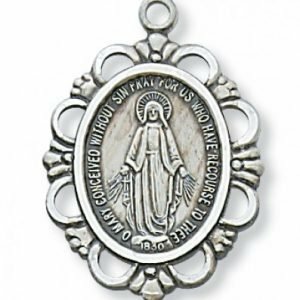 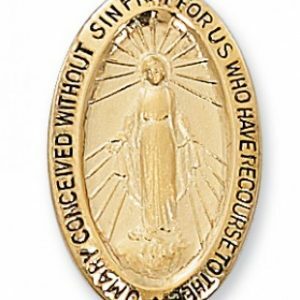 This beautiful mirculous medal, with a blue center, is a great gift for a special Catholic!